Boatbuilders could see nine straight years of growth if forecasts for 2019 are right. One year ago, we read in these pages a generally common consensus that the outlook for 2018 was bright for the recreational marine industry. Most economic indicators looked positive, and consumer confidence was at the highest level in years. For most of the 2018 model year, this outlook held true as the industry grew at a healthy pace. 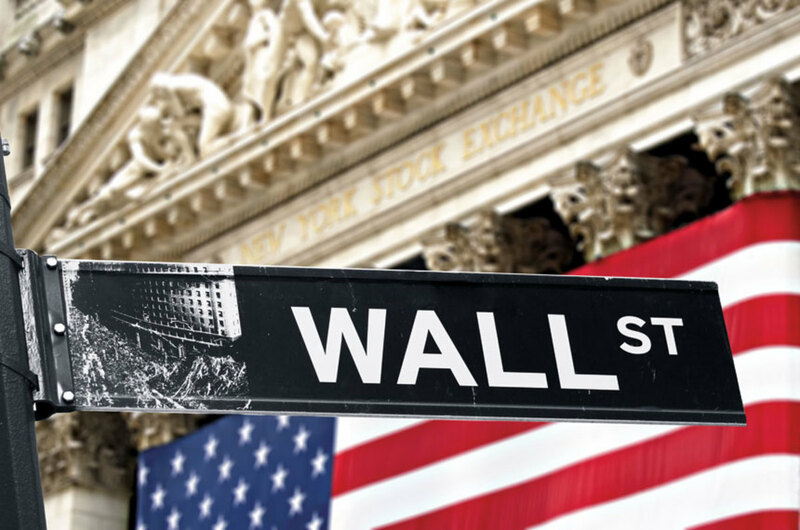 Nevertheless, in the last months we have seen disruptions in the form of extreme supply shortages, labor recruitment challenges and retaliatory tariffs imposed by our major trading partners. Rising costs resulted in unprecedented price increases. Moreover, buying patterns were temporarily disrupted by the polarization of the midterm elections. But for the tariffs, these phenomena are for the most part behind us, and consumer confidence remains high. We believe our industry will continue to enjoy a healthy growth rate through 2019, albeit at a slightly more moderate pace than in 2018. 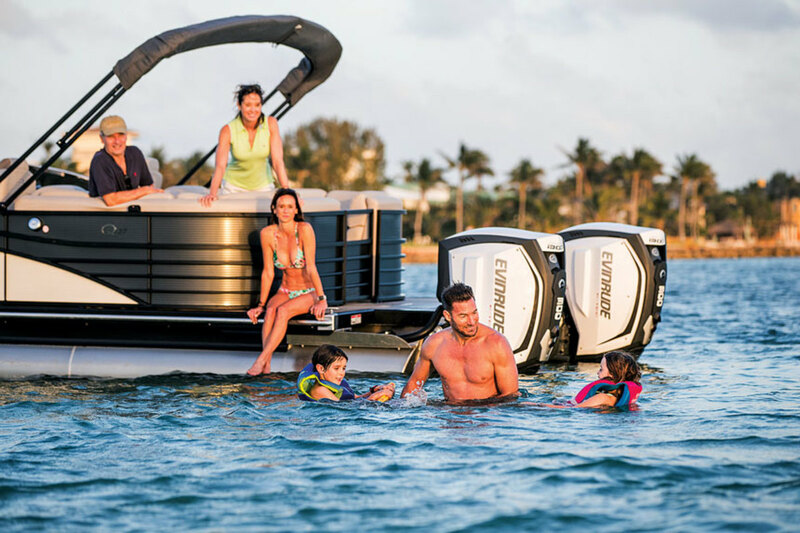 Demand for outboard-powered boats, increasingly in the over-30-foot segment, will be robust, while pontoon boats and tow boats will continue their positive trajectories. Millennials, as the next major consumer group, are seeking to participate in recreational boating by experience more so than by ownership. The boating clubs and fractional ownership programs are increasingly gaining traction. Upcoming product development will revolve around the connected boat, providing boaters with an experience more similar to what is expected with modern automobiles. This includes everything from digital switching to user-based content to autonomous docking. One example is Groupe Beneteau’s recently launched proprietary system called Ship Control. It combines multiplexing technology with digital ergonomics. In addition to planned product development and services innovation, the focus for Groupe Beneteau in 2019 will be our manufacturing footprint and operational efficiency. The target is to produce the models relevant to specific markets, as close to the markets as possible. At the core of our success, as that that of any OEM, will be a constantly strengthening relationship with the distribution channel. Overall, trends in the marina industry are positive. Travel and recreation are on the rise, and the economy is strong. Boat show attendance continues to grow. The number of motivated owners coming through our booth is strong. We have a good feeling there’s a growing pool of potential projects on the horizon. Although there are a number of positive forces, marina owners and operators are cautiously optimistic about 2019. Stock-market volatility did not stop new-boat sales in 2018, but loan volumes are slowing. One of the major impacts is the rise in number of named storms. The impact on coastal infrastructure has been devastating. These catastrophic events have put a strain on Bellingham Marine and many other marine contractors. The push to get marinas back up and running as quickly as possible is tremendous. There is no doubt the impacts of these storms will continue to affect our market in 2019. The good news is that we are rebuilding these facilities better. The goal for many marina owners is to survive the next storm. Rebuilding to current codes and industry standards helps make sure this happens. From a business perspective, consolidation of ownership continues in the marina industry. Others have tried this business model in the past with limited success. However, this time around, companies with greater financial resources and sophistication are at the helm. It will be interesting to see where this trend takes us. On the design and technology front, marinas continue to become more sophisticated, user friendly and environmentally focused. Dock systems continue to evolve. Use of environmentally friendly materials like concrete floating docks are resulting in improved water quality. Docks that specifically cater to human-powered watercraft with community access are becoming more common. Floating foundations that provide a solid base have proven to be cost effective and storm resistant. Another interesting trend is the inclusion of overwater structures. Owners are looking at what they can put on the water instead of next to it. Last year was the eighth straight year of growth for new-boat dollar sales and industry retail spending. Can we expect more of the same for 2019? Continued overall employment growth and a declining unemployment rate currently at 3.7 percent — with no forecasted increases by U.S. economists through 2020. The Consumer Confidence Index is at a historically strong level. CCI has not performed at this level since 2000 and is, on average, nearly 10 points higher than 2017 and 57 points higher than 2013. New-boat inventory levels have elevated, but generally remain healthy. Interest rates remain favorable despite six Fed increases since December 2016. The stock market (DJI) has doubled since the end of 2011 and should continue to benefit commercial and consumer markets. Favorable fuel prices should remain in 2019. An annualized GDP that is projected to perform in the 2.5 percent to 3.0 percent range through 2019. Recreational boating is still poised to produce positive near-term results. Annual retail spending improved to $39 billion (through 2017). We forecast this spending to approach $41 billion by the end of 2018 and $42 billion in 2019. New-boat sales grew 4.3 percent in 2017 to 266,900 units. 2018 will register similar new-boat sales growth, with 2019 bearing slightly lower growth of around 2 percent. There are areas to watch. The economy has a greater than 50-50 chance of easing into a recession in the next two years, according to JPMorgan Chase & Co. Other researchers have suggested that recession odds are in the 80 percent range over the next three years. Recent dealer surveys of long-term sentiments for the marine industry have dropped a few points. The current tariff situation (where rising prices could squeeze out middle-class buyers), escalating new boat prices (the “affordability” issue), a continuing workforce shortage and recent marine business acquisitions are other concerns. An additional concern is the RV industry, where recent downward revisions made by RVIA’s unit shipment forecasts for 2019 are consistent with the latest surveys of RV dealers and other core businesses. I also have a few observations about lending. The auto industry is reporting higher delinquencies with some lenders exiting non-prime retail lending and lower loan margins. This bears watching in the boat loan space. The good news is boat loan delinquencies continue to perform well, having declined again in 2017, according to NMLA stats. A recent survey of boat lenders indicated loan volumes and near-term outlooks are slowing. We have all the ingredients for continued growth: a healthy economy, solid consumer spending, consumer confidence levels over 100, housing growth, and job creation. New-boat sales have been steady for the past seven years. While modest, 2019 sales should again be on the plus-side of the ledger. In my 32 years in the business, I haven’t seen this much merger-and-acquisition activity in such a short period. My hat’s off to the companies that have built value in their businesses and pursued and accepted the acquisitions, mergers and consolidations. From my viewpoint, the growth of the new-boat market since 2013 has moved from utilitarian-based products to more dynamic, usage-based products that satisfy the boater’s individual needs. At Iconic Marine Group, we are entering our third year of rebuilding the brands of Baja, Donzi and Fountain, all of which have had successful pasts. We are building a talented team, increasing operational capabilities, and investing in the development of new models. Our emphasis is targeted at the growing offshore outboard market with Donzi GT and the Fountain Bluewater Series in the 32- to 43-foot range. This range has increased more than 30 percent in the past two years. [The outboard] trend is not going to reverse. It will continue to gain in all segments under 40 feet, short of tow boats. We will still continue to develop new sterndrive products in high-performance-related models, but I consider this a positive and worthwhile niche market in today’s world. Fountain Performance, Baja and Donzi Classic are in this category. The good news is we have experienced viable retail demand in freshwater markets. I believe the industry is positioned well for growth. My advice: Invest in your team, technology, quality, new products and aggressive sales and marketing. Just don’t let off the throttle. We remain in the midst of what has been a good run for the recreational boating industry. As numbers for 2018 are finalized, we will see a slowing of new-boat sales to closer to 3 percent than the 5 percent I predicted last year. Slower growth, but still growing. The economy remains very strong, with GDP growing well above 3 percent in the second and third quarters of 2018. Consumer confidence continues to hover near all-time highs, and consumer spending remains strong. Increased volatility has returned to the stock market, and the housing market has seen some recent weakness. And, the Federal Reserve is working to control inflation and tamp down the economy with interest rate increases. ITR Economics continues to forecast growing new-boat production through the first two or three quarters of 2019, but we are seeing some expansion of boat dealer inventories. Bigger inventories a red flag? Is this because dealers were caught short on inventory during the 2017 selling season as some manufacturers struggled to produce enough product to meet demand, or a red flag about slowing retail sales? Recent RV sales data show a slowing of RV sales, which are up 5 percent in 2018 through September, but which saw a strong downturn in September. RV dealer inventories are up significantly over two years ago, and total RV shipments are forecasted to decline in 2019. ITR Economics tells us that recreational boating should expect a slowdown in the last quarter of 2019, with things picking back up in the last quarter of 2020. What this is saying to me is that business should be good for most of 2019, with new-boat sales up another 3 percent or so. And, the slowing in late 2019 and 2020 will mean growth flattens to zero for a few quarters, but I don’t expect a decline in sales before they pick up strongly again in late 2020 and grow for a couple of more years. What about our industry’s longer-term prospects? 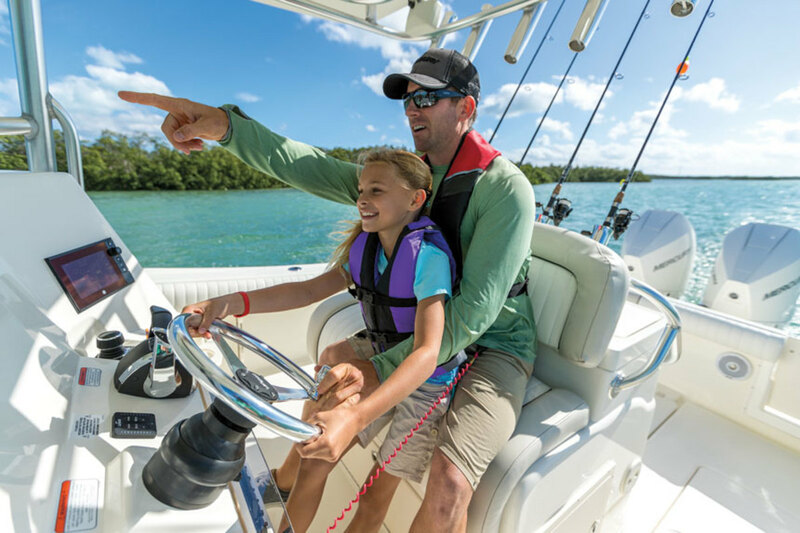 We continue to lose more than half of first-time boat buyers during their first five years of ownership, and our traditional baby boomer customer continues to age. As an industry, we are very product focused and very sales focused. We need to attract first-time boat buyers and keep them in boating. To do that, we need to sell the boating experience and lifestyle, not features and specifications. We need a more experiential focus. Sales is not marketing. We need to become better marketers, embracing digital, personalization and nurture marketing methods and tools. We need to get comfortable creating a pipeline of future customers we nurture over weeks and months until they are ready to buy, instead of solely focusing on qualifying those customers ready to buy today. Once we’ve sold them their first boat, we must continue to nurture them to be sure they have a great experience and then nurture them again toward their next boat. “Inshore seems to be softer than offshore, but both are growing.” — Scott Deal, president, Maverick Boat Co. Although overall demand is very strong, demand has been somewhat selective, with some market spaces exploding while others are in contraction. I expect that to continue. Looking narrowly at our four brands — Maverick, Hewes, Pathfinder and Cobia — we expect to see varying degrees of growth over the next year in each brand. Our situation at Maverick Boat Group is a little different in that we just opened a second factory this fall to meet record demand. This year was the best in our 33-year history, and a record year in every respect. With this expansion, our growth will continue and we are all very excited at what we see for our company and our dealer partners over the next few years. At present, the inventory in the field is at historic lows for our products, and we are comfortable expanding at a significant pace. 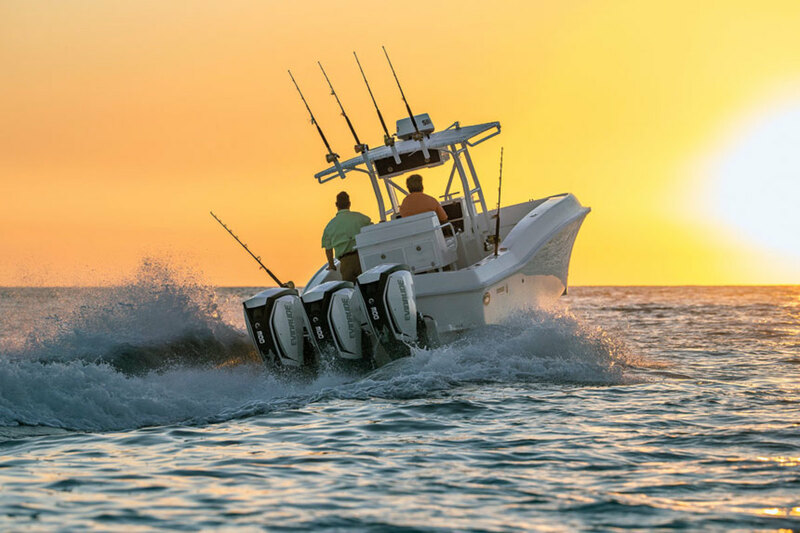 For the market overall, I agree with the view that we will see mid-single-digit growth for the outboard segment and our saltwater fish market, and continued attrition in the sterndrive market. Inshore seems to be softer than offshore, but both are growing. Some of that difference is undoubtedly related to environmental issues related to bad water policy — a subject for another day. We’ve seen a trend where highly featured, content-rich boats outsell de-featured and entry-level models. This is true across all our brands. Also, we have our strongest demand in our larger models, especially with Pathfinder and Cobia. Based on conversations with other builders, what we are experiencing is not unique and is expected to continue. Units are not back to prerecession levels, but dollars are. I’m hoping that with recent improvements in low unemployment and accelerating wage growth, we will start to see more growth in the entry-level market, which is way below prerecession levels. I find the recent consolidation of boat companies interesting. To me it seems very different than in the past in that now you have public companies buying well-run businesses to fuel growth and increase profits. In the past, consolidations were more transactional, where profits came only from deal making and from flipping companies, not from operations. I see this continuing and a future where a few large operators hold some of the strongest brands in major market segments. I don’t see this as anti-competitive, but a natural evolution of an ever more professional industry. Everything around continues to change, yet one thing that remains is the power of unique partnerships. This is the driving force of Metstrade’s success. We are focused on evolving this each year. With our sister show, the International BoatBuilders’ Exhibition and Conference, we plan to move forward by creating a strong global year-round platform that can only serve the industry in a positive way, with flagship events in Tampa and Amsterdam as the main anchor points. The future of trade shows lies with facilitating the growing need to experience a disconnection from the impersonal and to accommodate the connection on a personal level. Game-changing creativity comes from face-to-face meetings. RAI Amsterdam, the home of Metstrade, is evolving towards facilitating this connection. Implementing matchmaking tools with high-end technical instruments, navigation services on site, enhancing networking events, taking awards to their next level with a focus on placing people in the spotlight, which rewards the creative minds behind all product development and products, are all vital focal points that can dramatically improve our trade shows every year. Just like many other industries, the recreational marine industry relies heavily on different evolving areas of creativity, like digital marketing. Our industry has been quite slow to adopt these modern marketing methods, but this is changing rapidly. The companies whose focus lies with meeting their audience at the right place and time are the ones enjoying success. Gaining insight into where one’s audience spends time on the internet is key. The fastest-growing companies these days innovate and invest in design, create new marketing, seek out new markets, develop new skills and tackle the challenges before us like the environment and changing customer profiles. Those who grab the opportunities and translate the big word of innovation into meaningful action are the ones that will be most successful. We have achieved something never accomplished in modern recreational boating history: almost eight years of continuous, uninterrupted growth in boat sales and overall marine industry revenue. Will this momentum continue through 2019? In my opinion, yes, but with a caveat. Some of the tailwinds that propelled our industry the past few years will persist, but it is going to be far more difficult, though not impossible, to continue increasing new boat sales year-over-year. We are now in a unique position, because even if boat sales are flat or down slightly in 2019, our industry will still thrive. Why? Because we built up such a solid foundation these past several years. During the five-year period from 2014 through 2018, we added almost 1.3 million new boats to the U.S. recreational fleet, resulting in the largest late-model-year fleet in over a decade. During this same period, about 1.5 million boats were retired from the fleet, but three-quarters of these boats were more than 20 years old. So, despite a net loss of 200,000-plus boats, the bottom-line contribution to our industry is greater today because we effectively swapped out 1.3 million old boats for 1.3 million new boats, almost all of which require more costly maintenance, equipment, storage, insurance and, in some cases, repower. Who can we thank for all this recent success? Primarily our longtime, repeat customers, most of whom have owned boats for more than 15 years. Today they account for the vast majority of total marine industry expenditures and many of them have reached a point in their lives where they have been buying larger, more expensive boats and equipment. Short-term, we must continue nurturing relationships because longtime boaters will again account for most of our industry’s sales in 2019. Long-term, we must begin preparing for the fact that our core customer base is shrinking, primarily due to aging (more than 40 percent of today’s boat owners are over 60 years old). It is therefore imperative that we figure out how to harness this passion and pass it on to the next generation. Very little is certain about the year ahead. Many people speculate a recession is right around the corner. At the Marine Lenders’ conference in September, however, our association’s favorite economist suggested we’re only half way through the bull market that carried us away from the last recession. If we’re operating blindly when it comes to something that impacts our industry so significantly, how can we be sure about external factors? Frankly, the political climate, alone, suggests that uncertainty is the new norm. But here’s something that I am certain about: We need to fix the boating experience. Given the workforce issues we’re facing today, the new reality is that we’re selling and servicing more boats than ever before — with fewer people to make it all happen. Customer satisfaction, the measuring stick for the customer experience, is suffering, and boat sales remain at levels significantly lower than our pre-recession peak largely because of it. There are two emotional high points for today’s boaters: The point at which they decide they are going to contact the dealer to buy the boat and the moment they take possession of the boat. As an industry, we’re screwing up both experiences. Data shows that somewhere between 35 and 40 percent of the leads funneling into our industry go unanswered. Ouch. Welcome to boating. For those who buy a boat, between 40 and 50 percent never hear from their dealer again. They’ve been researching for months, sometimes years. Comparing. Contrasting. Studying. Saving. They’ve brought their family and friends to look at the boat. To touch the boat and fawn over it. They finally make the investment. Then they drive away from the dock, only to discover we never attached the safety tether to their experience. We don’t care enough to send a thank you, make a follow-up call or check in. No guidance. No bon voyage. We completed the transaction. And we moved on to the next one. It’s the emotional equivalent of biting into an orange only to discover it’s a lemon. While I believe these are the most significant, they are but two touchpoints that can make or break the boater’s experience. As an industry, we need to get better at understanding how to deliver something better. In 2018, MRAA dove deep into this conversation. In 2019, it becomes our number-one focus. Easy boating. We believe the key to continued growth in the boating industry is to remove perceived barriers to entry and make it easier for more people to enjoy the boating lifestyle. We need to make boats as easy to own and operate as a modern automobile, and give consumers more ways to enjoy the boating experience. Integration. Boatbuilders, dealers and customers want systems that are easy and inexpensive to install and service; that will reduce operating complexity; and are warranted by a single trusted supplier. At Volvo Penta, we will continue to expand our helm-to-prop integration concept. Innovation. While innovative products like our Forward Drive, IPS, Glass Cockpit and joystick controls are an important part of the equation, equally important will be innovations in processes and business operations, including technician training, dealer relations, warranty programs, human resources and marketing. Connectivity. The Internet of Things revolution is ubiquitous, driven by consumer demand and low-cost wireless data links. Industry analysts project the global IoT market will grow to $520 billion by 2021. Already, new cars are designed to communicate wirelessly with you, sending messages that your tires are underinflated or your coolant temperature is running high. So, why not your boat? Electromobility. We are seeing dramatic boosts in battery-storage capacity, and declining prices per kilowatt hour. This will bring explosive growth in marine electromobility over the next several years. Volvo Penta announced this summer a commitment to offer electric and hybrid propulsion products by 2021. Automation. The world’s first unmanned commercial ships are already under construction. Obviously, there’s no case for unmanned pleasure boats, but we can expect to see more automated systems that will make it easier and worry-free to operate a boat. For instance, Volvo Penta demonstrated the first self-docking yacht in Sweden this summer. We desire to be closer to the customers and understand their overall experience with the brand. Learning all we can from them, we aim to apply that to our own business, along with our dealer network and training. In short, the future in boating technology will be exciting, and we intend to be at the forefront of it. Workforce shortages will continue to plague the industry in 2019. The outlook for the marine market in 2019, from a public equity investment standpoint, is compelling. Valuations for boat and engine companies are attractive, and financial returns have showed good growth. However, marine-related stocks are down significantly over the past four months, over concerns that the marine cycle is nearing an end. I could not disagree more, and see tremendous opportunity. With GDP breaking out of its slow-growth, sub-2-percent range, and with more of the gains benefitting those in areas of the country where the boating lifestyle is strong, I am expecting this cycle to have some legs and for 2019 to be a robust year. I see strong economic growth, with personal tax cuts providing a nice lift. Corporate tax cuts are just starting to make an impact on the economy, and I expect a strong supply-side boost over time. Feedback from dealers has been upbeat, and I am receiving positive feedback across the board, not just from boat dealers. Our survey work suggests that dealers of related products like off-road vehicles, personal watercraft and snowmobiles are also having strong seasons with even better outlooks. Another concern weighing on investors is the impact of tariffs. Not just tariffs on inputs like steel and aluminum and Chinese imports, but also the retaliatory tariffs, like the 25 percent tariff on U.S.-made boats imported into the European Union and 10 percent into Canada. The stock market hates uncertainty, and also fears any unknown turns this trade war could take in the future. The impact on boat demand and future earnings is difficult to ascertain at this point. Stocks in the marine market look attractive owing to low valuations, strong fundamentals, solid economic growth and impressive innovation. 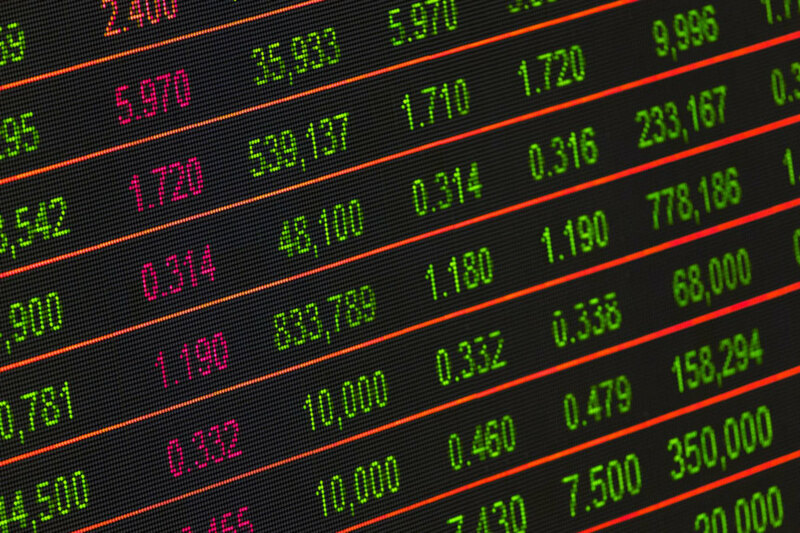 We think 2019 will be a good year for the marine market and the stocks that participate in it. The year ahead will prove to be strong for Edson. The continued growth of the economy has allowed Edson to focus on reinvesting in the company, from personnel to machinery. This strengthens the brand and is allowing us to redefine and continue to lead in customer service, quality, and innovation for the marine industry. Marinas and harbors experienced a refreshing amount of boat activity through 2018 and anticipate further investment in this pastime in the upcoming years. As such, we have witnessed infrastructure updates, many to include our pumpout systems. The U.S. market is truly falling in love with boating again. Sales continue to grow at exceptional rates on the power side of the market, with several builders nearly doubling their production capabilities in the next few years. Even sailboat production is seeing a resurgence in the U.S., with much credit to a passionate industry. We perceive strong trends towards customization, and believe that market will continue to grow as inheritance cascades into the Baby Boomer generation and specific segments of the market demand specialized premium equipment. In particular, sales continue on a solid trajectory for our custom superyacht steering systems. Ngoni, the 190-ft. high performance sloop built by Royal Huisman in the Netherlands, is just one example of a recent steering system project. This outlook equates to additional opportunities for manufacturing complementary equipment in the U.S. for these large vessels. Despite positive views on the revenue side of the business, there are looming issues in the U.S. supply chain, particularly in domestic metals and surface finishing. As we push through these issues, we see opportunities to implement positive change and bring more aspects of manufacturing in house. We look forward to a more resilient supply chain as new players enter the market and our diligent suppliers remain intact. Our best suppliers remain our local craftsmen – their passion and attention to detail on various components help to fuel our customers’ desire for our products. Edson looks forward to a memorable 160-year anniversary, alongside an industry we have served since 1859. The 2018 season was good for Mesco & Seacoast, despite unprecedented rainy weather and poor water conditions in the Upper Chesapeake Bay due to flooding from the Susquehanna River. Our dealer customers had a good year for boat sales, though boat usage was somewhat suppressed because of the weather. Nevertheless, for much of the spring and summer we saw sales growth in service parts, maintenance products, new boat delivery items and, later in the season, winterization products. We’re optimistic about 2019, especially following our dealer show in November. Orders were strong and dealer optimism was high. Many of our customers had come off a good year, especially the boat dealers. Pure retailers who only handle equipment and accessories weren’t quite as bullish. We’re buying inventory with the expectation that it will be another strong year. We’re also buying before the new year to avoid pre-tariff price increases. Some vendors have put through a 10 percent price increase due to tariffs and are proposing to add another 15 percent after January 1. At the moment, our main worries concern how tariffs might impact the industry, both in the long-and short-term. There’s also the unpredictability of fuel prices—we know how fast they can change—and of course, the weather. But we can’t do anything about those. Other factors outside of our control include government policy and medical insurance expenses. Misguided government policy not grounded in economic reality can be distracting, expensive and detrimental to our business. Irrational policies like Prop 65, mandated minimum wages and benefits and some environmental regulations may be well intentioned but are impractical to implement or excessively costly. The increasing cost of medical insurance well in excess of inflation is a huge albatross around our neck. As a 108-year-old, fourth-generation family business, we have been through many ups and downs. We are confident in our ability to adapt and thrive, thanks to the terrific work ethic of our employees, some of whom have been with us for decades, our tolerance for measured risk and our ability to invest in our own future. 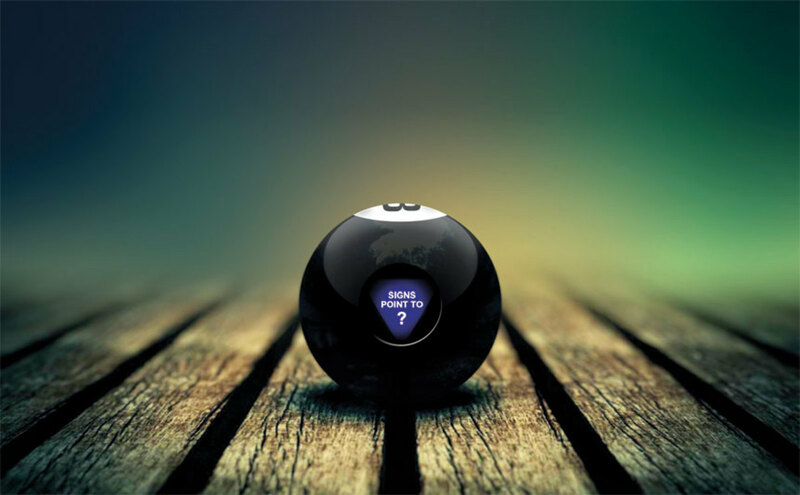 I have heard predictions for over 40 years of the demise of the wholesale distributor. There may be fewer of us, but the survivors are larger and stronger than ever. Marine distributors will continue to be a vital part of the boating industry into 2019 and for many years to come. MasterCraft Boat Holdings has certainly changed a great deal over the past 13-plus months with the acquisition of NauticStar LLC and Crest Marine. MCBH now has leading brands within the top three fastest-growing segments in the overall boating industry: ski/tow, aluminum pontoons and saltwater fish. We characterize fiscal year 2019 at NauticStar as a year of investment. We’re currently reconfiguring the layout of the facility and developing larger products. That will include four new models. Two models actually just released to manufacturing: a 195 Bay Boat and a 251CC. In the spring, we’ll release two more models, with the largest being up to 32 feet. We’ve only owned Crest for about two months but have had our operations, IT and finance people on the ground helping to make changes in processes and facility layout. We are very excited about our new brand, Aviara. We will launch three new models over the course of calendar year 2019. The sizes will range from 32 to 40 feet, with the AV32 debuting at the Miami International Boat Show. They will be larger, open-bow recreational day boats. I believe we’ll continue to see consolidation within the industry via mergers and acquisitions. M&A is one of the legs of our three-pronged growth strategy, and we’ll continue to be disciplined but involved in evaluating opportunities to acquire additional strategic brands. 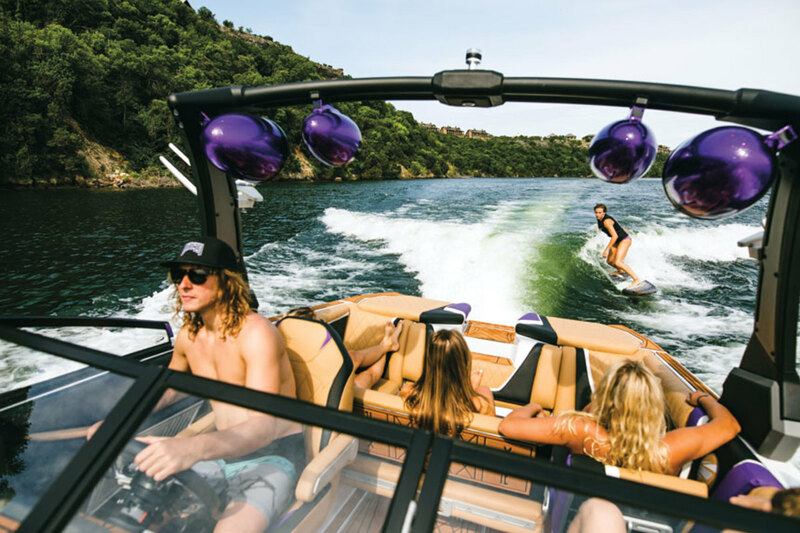 MasterCraft continues to see very strong growth, with global internal retail registrations showing 30 percent growth since the beginning of this fiscal year, which started July 1. On a consolidated sales basis, only 5 to 7 percent of our sales are to countries impacted by import tariffs. We’ve assisted our Canadian and EU dealers with some levels of wholesale discounts on a temporary basis to help offset the impact of the tariffs in each region. We are about to enter the most exciting time ever in the history of marine electronics. 2019 marks the official beginning of the smart boat era, forever changing the boating experience for the better. This shift has been seen in numerous industries. But for the boating market, which is constantly seeking new ways to grow its consumer base, this next step in technology will serve as a much-needed catalyst. Current estimates indicate that electronics as a percentage of the cost of a car will grow from 30 percent today to 50 percent in 2030. While this growth will perhaps occur at a slightly lower level for the marine industry, the smart-boat era will lead to an increasing percentage for electronics integration tomorrow. Today, those who are passionate about boating accept the skillset required to enjoy the experience. For others who are accustomed to a more seamless and user-friendly experience, the idea of operating a vessel remains daunting. The modern boat requires and involves a multi-step startup process, complex and time-consuming monitoring of on-board services, stressful manual maneuvers like docking, dozens of different gauges and analog screens, and limited integration and connectivity. The new dawn is being driven by digitalization, integration and connectivity. For the first time, information can be shared from previously incompatible or disconnected components to a consistent and user-friendly interface — increasing efficiency, safety and security. Deep integration of mainstream solutions such as Wi-Fi, Bluetooth and cellular as well as satellite data sharing, cloud-storage, push notifications and third-party mobile applications, provide the seamless connectivity that we have come to expect in our everyday lives. This creates a richer experience, while making it easier to be a boat owner. In 2019, Navico, through its brands Lowrance, Simrad and B&G, will make the fully connected vessel a reality. The system will be accessed both consistently with a user-friendly interface through our new information display and seamlessly with mobile devices on and off the boat. This will be accomplished by opening the boating ecosystem, providing an integration hub network, introducing a set of connectivity solutions, enabling a set of new (digital) services for a full end-to-end experience. We will do this by collaborating with industry partners. 2019 is only the start of the smart boat era. In years to come, we will see many new marine electronics solutions—for new and existing boats—that will provide radical improvements for owners by increasing ease of use, giving more peace of mind and adding customer value both on and off the boat. We are approaching the year tentatively, but with great anticipation. There are the external forces such as the 2018 tariffs imposed on some raw materials, as well as on finished products when boats are shipped to various parts of the world. We are expecting those barriers to continue to hinder the strong growth that would be expected during the current global economic strength. New-product development will accelerate in 2019. 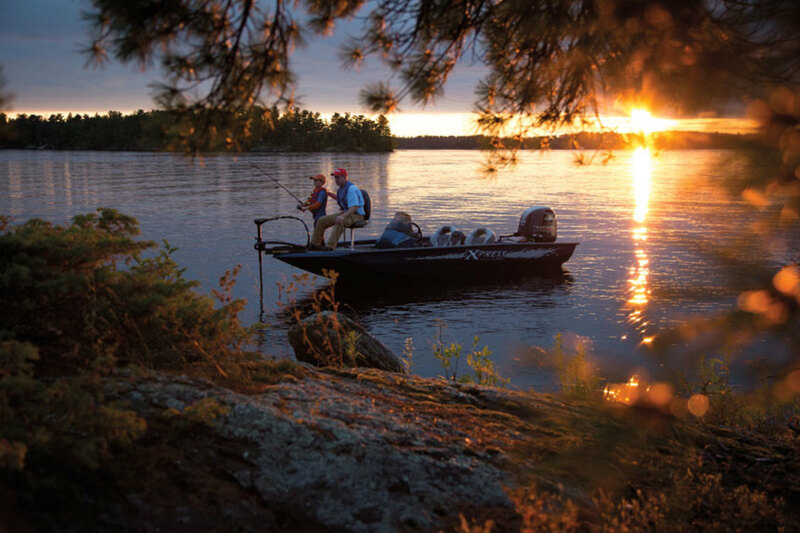 That being said, the segments of pontoon boats and outboard boats, primarily traditional fishing brands, will continue to drive overall market growth. As for us, with the reintroduction of Marquis and our collaboration with Toyota Motor Corporation’s marine division introducing a Lexus-branded yacht — both to be launched fall 2019 — make for an exciting year ahead. Both complement our Carver product offering for our owners, and provide our dealers with a unique portfolio offering that includes cruising yachts, day boats and luxury yachts. Furthermore, last year’s decision by Brunswick to shutter Sea Ray’s sport yacht and yacht business will open opportunities for Carver, Marquis and Lexus, as well as the other builders. Fishing and boating participation data, along with fishing license and boat registration sales, are all trending upwards. I anticipate continued growth in 2019 as the Recreational Boating & Fishing Foundation continues its Take Me Fishing and Vamos A Pescar campaigns. First and foremost, we must embrace multiculturalism and inclusion. Seventy-three percent of outdoor enthusiasts are white, which is much higher than the 62 percent overall U.S. population. RBFF will focus on its growth audience: multicultural families with children ages 6 to 17, as 94 percent of current anglers learned to fish before age 18. Engaging specific multicultural audiences will be a focus for RBFF in 2019. We will also expand our women’s initiative because of the role women play in not only growing participation, but also in teaching the next generation. Though we’ve seen increases in participation overall, we have a retention issue. We must reduce churn among first-time anglers and boaters, and we plan to do so working with our retail partners, state agencies and Grow Boating to ensure these new customers are engaged and have great experiences. We will conduct research to develop insights that guide our programs and the industry at large, and will invest in participation research with Grow Boating and the Outdoor Foundation. We will also invest in smart media and content that motivates our target audience to participate. U.S. adult media consumption is up to 11 hours per day, up more than 1 hour per day from last year. We need to reach consumers where they’re getting information. We are expanding our partnership with Disney to reach new mainstream audiences. You might see media channels such as ABC, ESPN, Freeform, Disney XD, Disney Channel and other brands such as Star Wars and Marvel carrying our campaign messages. Working with our industry partners, we will support a new effort to expand in-school opportunities to bring fishing and boating to more youth. We plan to expand our partnerships with state and federal agencies to provide access to Americans on federal properties. I am very optimistic about the health of the marine industry, now and in the foreseeable future. I think you’ll see the industry continue to make advancements in autonomous features, and ultimately one day, we’ll see a completely autonomous boat. From an integration perspective, I think we’ll see all components and systems on a boat becoming connected into an integrated system. This will make it more intuitive for boaters to monitor and control what today are disconnected discrete systems. Imagine having one central point on the boat — or on your smartphone — where you can see what is or is not running, turn anything on or off. That will not just happen on board, but also remotely as we make advances in smartphone remote connectivity. While inboard and sterndrive propulsion will continue to be an important part of the industry, high-horsepower 4-stroke outboard engines will continue to grow at a higher rate. It has become the mainstream propulsion of choice in the industry today. We have already seen the acceptance and growth of this propulsion choice as boat brands that have historically offered exclusively sterndrive power are now building boats specifically for outboard power. I also think we’ll continue to see outboard propulsion being applied in segments that we never thought possible. For example, today we are seeing 40-foot-plus motoryachts built with outboard propulsion. A few years ago, we never would have thought that would happen. Alternative participation models are another area to expect strong growth. I’m referring to boat clubs, boat-sharing marketplaces and even rentals. Anytime anyone goes on the water, it’s good for our industry. The millennial generation is most comfortable with the sharing economy, and these participation models give younger generations a chance to experience the water before making a purchase. To meet the needs of the next generation of boaters, we need to think like they do — and the sharing economy is a place where the marine industry can grow. We must be there. RBFF will launch media campaigns on ABC, ESPN, Freeform and the Disney Channel to reach younger, more mainstream audiences. Conditions are generally good in Europe, but the European marine industry associations are really concerned by the escalation of the trade war between the U.S. and European Union, which is now directly involving our industries with the importation of U.S.-built boats and the EU countertariffs. UCINA has been in touch with the EU Commissioner, EU Directorate-General for Trade, the President of the EU Parliament, not to mention ICOMIA and NMMA, with the hopes avoiding a potentially devastating effect the tariffs could have on the global marine sector. Retaliation from the U.S. could be a disaster for Italy’s boating industry, which produces and exports so many large yachts and superyachts to the USA. Having said that, the Italian boating industry is seeing a significant, prolonged recovery. Starting from lows in 2013, we have seen a 60 percent increase in total industry revenues in just four years. In 2017, we saw double-digit growth in sales of €3.9 billion ($4.4 billion) for the industry. Last year, we also saw strong activity for both the boatbuilders and equipment manufacturers. Even the charter and marine tourism sectors had a positive summer in 2018, with growing business for the marinas. Italian manufacturers have often relied on subcontractors, rather than direct employees, during uncertain times. After many years, that is now changing. In 2017, our industry grew its fulltime employee numbers by 6 percent. In 2018, the number of new hires also grew. The fact that boatbuilders and equipment makers are investing in strategic assets like workforce means they trust in the market’s positive direction. Our accessories and equipment sectors are strong, with sales exceeding €1 billion ($1.13 billion). The Italian national pavilion was one of the largest at Metrstrade and our companies had very positive feedback from the show. Exports continue to lead our industry, with 80 percent of boat production sold outside Italy. But our domestic market is back after the crisis of 2008. We’ve seen a 58 percent increase in domestic sales from 2013-2017. And for the first nine months of 2018 there was confirmed growth in the overall value of domestic boat sales. While these market conditions should lead to optimism, we’re also experiencing weak economic growth in Italy compared to the rest of the EU. We’d also hoped for a quick passage of the Nautical Code, a new set of national laws that would give a boost to the boating industry, but a recent change in governments does not give us much optimism that this will happen soon. We’re seeing good growth across our different regions, but what is particularly important is the balance. No single market is booming. We saw this first in mid-2017, where all markets were in growth mode but there were no rockets in any territory. Since 98 percent of our boats are exported outside the U.K., we don’t want most of our production in one market. We’ve seen multiple times in the last 20 years where a country takes off and you think you’re onto a good thing, but then in 20 months, it has disappeared. That’s not the case now. We’re seeing good, sustained growth. 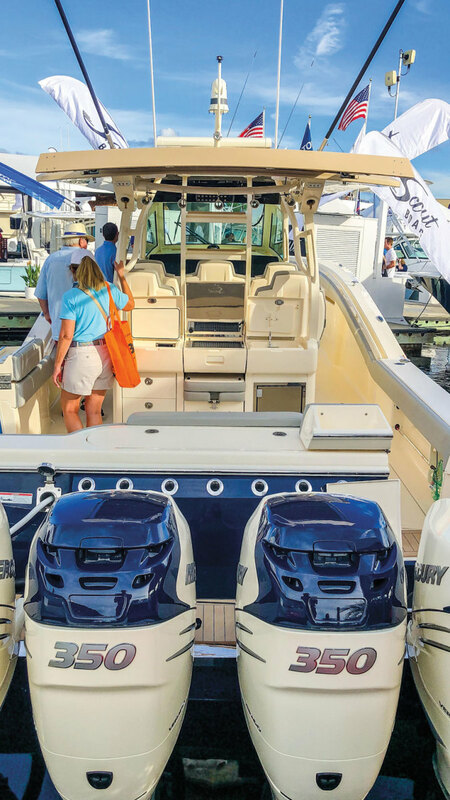 The midterm elections were the same time as the Fort Lauderdale International Boat Show, but clients didn’t seem to be sitting on their hands and waiting. They were buying. The same with Brexit: It’s hard to tell what it actually has affected, but we’ve seen demand continue to grow. We’re also seeing demand for all size ranges. The U.S. is interesting at the moment because from 2010 to 2015, it was an unpredictable market. You’d go to a boat show, make good sales, and then half the deals would fall through. Now, we’re seeing good, sustained growth, and the boats being sold are getting larger. Only three years ago, selling a boat longer than 70 feet was a random thing. This year, more than 50 percent of the production of our 76 is going to the U.S. Even in the heyday before the 2008 crash, we might sell three boats over 70 feet into the U.S. Now, we’re selling 20-plus boats over 70 feet per year. Ten years ago, you also needed to have a boat at the dock if you wanted to sell it in the U.S. Now, many buyers are comfortable with pre-ordering a boat without seeing it. They understand that the market is strong and they can’t wait too long. We still see strong growth potential in the U.S., even compared to Europe. It’s the most mature boating market in the world with exceptional cruising areas, so the opportunity is great for Sunseeker, or any foreign brand. Acquisitions have paired diversified publicly traded companies with strong boat brands, like BRP and Manitou. All in all, I am excited about 2019. Independent two-step distribution is in good shape going into this year. 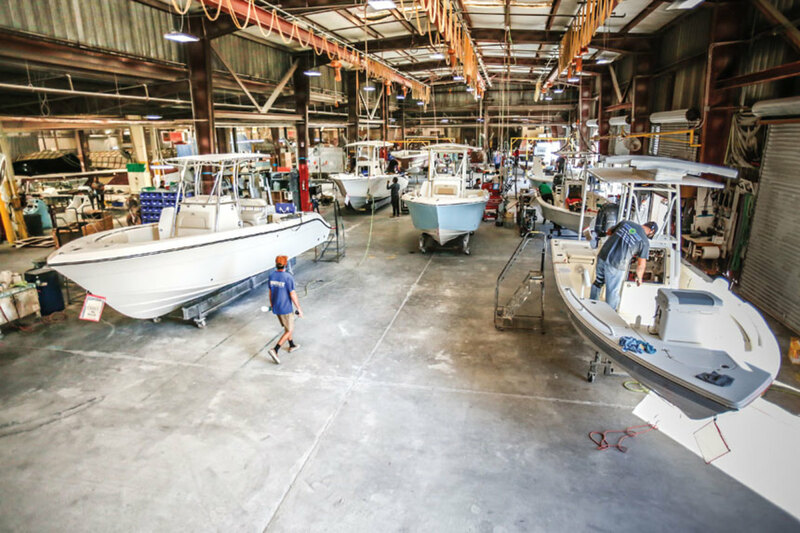 Donovan Marine saw nice sales growth in 2018 thanks to a robust economy, growing marine marketplace, expansion, and a conscious reinvestment in the company. In January, Donovan added its sixth warehouse in Florida after purchasing the assets of Lewis Marine Central Florida. The primary goal of the acquisition was to build upon the great service levels in eastern Florida to which dealers there have become accustomed by making our extensive inventory of product offerings available to them. In November, Donovan bought the assets of Morgan Recreational Supply. Donovan will continue to operate in this location under the same name. Also in November, Donovan moved its Annapolis, Md., division to a modern warehouse on the Eastern shore — tripling our space and expanding our reach. These two new investments, along with the Norwich, Conn., distribution center, underscore our commitment to the Mid-Atlantic and New England markets. The marine supply aftermarket is primarily a marketplace of two-step distributors and dealers. We believe that will continue to be the primary distribution channel. Boaters will continue to need the dealer to have their boats ready for the weekend. And the dealer will continue to need the distributor to get his aftermarket marine supplies to him in a timely fashion. One critical expense of two-step distribution is freight. It is why Donovan is represented in so many marketplaces. Our 20 locations across the country allow Donovan to use its fleet of vehicles to reduce the dealer’s landed costs. We also added close to 20 new truck routes in 2018. We believe the marine supply aftermarket will continue with the proven business model of distributors and dealers. The supply chain will not move to a direct internet/Amazon type model in any sizable amount. Service requirements of many of our products require a knowledgeable technician. Boaters want their boats to run and are generally not interested in DIY projects because of the complexity of boat systems. In that regard, we should continue to see growth as we continue to increase our service levels to the dealer. 2018 was a good year for the boating industry, but the business cycle is reaching an inflection point. Although we expect further expansion in the macroeconomy in 2019, our analysis suggests headwinds for the boating sector, with activity marginally lower than 2018. Many macroeconomic indicators are approaching peak growth rates for this cycle. US Gross Domestic Product is expanding at an accelerating pace, up 3.0 percent from the year-ago level during the third quarter of 2018. This rate of growth will decline throughout 2019 and into early 2020. While we do not expect a recession in the US economy overall, the US Industrial Production Index (our benchmark for domestic industrial activity) will contract by the second half of 2019. The US consumer ultimately underpins our economy and specifically the boating industry. Warning signs suggest changing consumer activity in 2019 and into 2020. US personal savings as a percentage of disposable personal income are below the year-ago level, signaling that the US consumer is in a less robust position to weather any economic shock. Gradually rising interest rates will place pressure on consumer finances. Our proprietary ITR Consumer Activity Leading Indicator is declining mildly from a mid-2017 peak. The Indicator, which is designed to suggest the possible course of business cycle movements three quarters in advance, suggests that the rate of growth in US total retail sales will likely decline in 2019. The boating industry may be at the forefront of these consumer pressures. Squeezed by higher inflation, the U.S. consumer may cut discretionary spending first. US Personal Consumption Expenditures for Pleasure Boats rose just 1.9 percent during the 12 months through October, compared to a double-digit rate of growth from mid-2017 to early 2018. Lower spending on boats will represent a hindrance to the marine industry in 2019. Higher input costs will also pressure profitability next year. With a national unemployment rate of 3.5 percent, there are more job openings in the US than job seekers. Labor shortages are creating uncertainty for businesses and fueling wage pressures. Higher material costs may also pressure boat builders. Key input costs are rising, including aluminum (up 8.3 percent from prior year), wood (up 9.8 percent), plastic resins (up 4.6 percent), and copper (up 5.6 percent). Commodity price inflation will likely ease somewhat in 2019. But the risk for further escalation of tariffs on these materials has not fully dissipated. Although the macroeconomic implications for the recreational boating industry in the coming year are dimmer than 2018, I am confident that opportunities remain. Contraction in the industrial economy will be mild and short-lived. The U.S. consumer may pull back in 2019, but consumer health will be far from the precarious position of the prior decade. We suggest using any slack over the coming year to identify and remedy inefficiencies in your business. Target technology implementation and process improvements for the bottom of the business cycle when more time will be available. Plan to use these improvements for the second half of 2020, when growth returns to the industry. From a macro point of view, most key economic indicators continue to move in the right direction to support lower single-digit growth in our industry. NMMA statistics also indicate the industry is very healthy from a participation point of view and boats in use. Here is our opportunity: the new-boat sales replacement rate lags behind that of pre-recession levels. The auto and RV industries have reached or exceeded the pre-recession years. This indicates that new-boat sales should grow to better align with more reasonable replacement rates longer term. At the same time, we shouldn’t forget why people boat: They want to get away and enjoy themselves in an environment that gets into nature. They also want convenience and simplicity. And boat manufacturers want suppliers to deliver complete systems that continually increase the convenience and simplicity for the boater. To that end, we recently created the Boat Power Systems Division, which includes U.S. Product Planning, Engineering and our Test Site. The reason for the merge is to respond to our customers’ needs and create products they desire. This division, which will add 15 employees over the next two years, will lead us into becoming a total marine systems company. 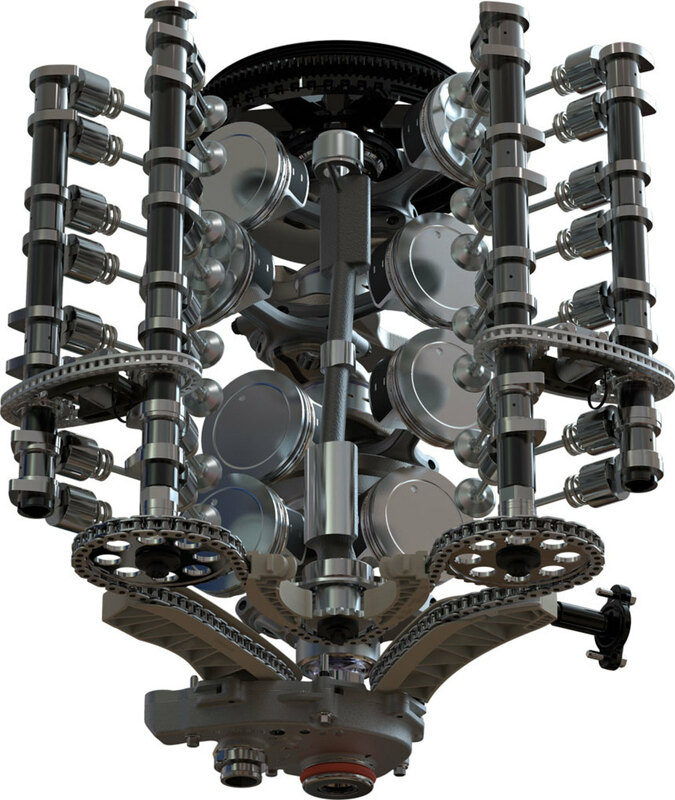 These changes cap a busy 2018, when we introduced our V-8 XTO Offshore engine. Designed to push heavy offshore boats, the Yamaha V8 XTO Offshore has 5.6 liters of thrust and 425 hp. It is also the industry’s first direct injection four-stroke outboard and the first to feature integrated electric steering. Our service initiatives will also drive us into the future. We continue our focus on developing new marine industry technicians. We will increase our training capabilities, and the Marine Service Department will launch Tech Hub, an online communication platform for marine technicians, dealers and technical schools. We encourage our dealers to use Tech Hub as a recruiting tool to bring great technicians to their dealerships. 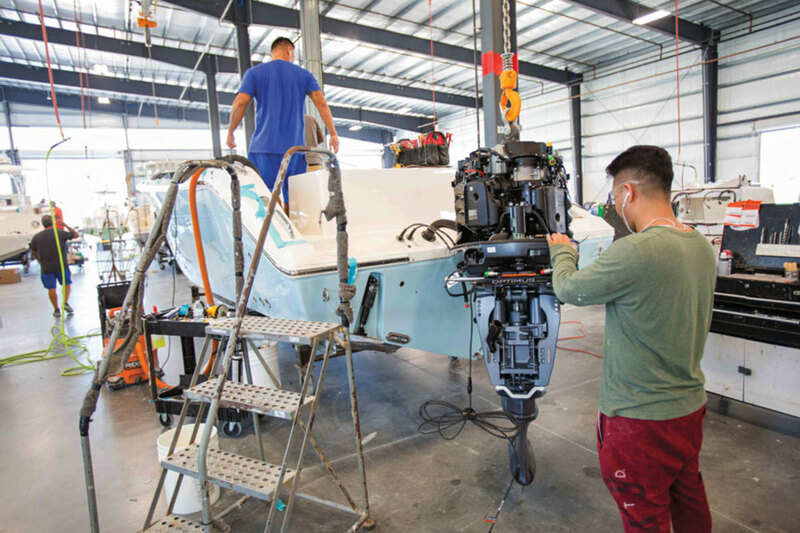 Marine Service is now rolling out the Yamaha Marine Apprentice Program, a structured education plan that develops entry-level technicians while working at the dealership. Our apprentice program can provide state and regional benefits to dealers who register their participation with the U.S. Department of Labor, which recognizes the program. It is also our responsibility to protect our oceans, waterways and fisheries, and public access to those resources. By cooperating with associations such as NMMA, ASA, CCA, CSP, the Theodore Roosevelt Conservation Partnership, and others, we can make sure our voices are heard for future boaters and anglers. Last October, President Trump signed the bipartisan America’s Water Infrastructure Act of 2018, which begins to address many top priorities of the recreational boating industry. In July, we also announced a new marine plastics removal program in support of the Save Our Seas Act (S. 756), which passed into law in October. At the same time, we need modern approaches to data collection and fishery policies in our saltwater fisheries for a more balanced approach to protecting recreational angler rights to our public resources. I am excited about our growth and the power of all these initiatives. We are about to conclude our 35th successful year of business in the U.S., and the next 35 years of success starts now. We believe the year ahead will be more of the same in terms of growth and demand for our products. In less than five years, we have acquired three companies and begun two new start-up vertical integration businesses, with Malibu trailers and engines. We have that same appetite for growth going forward, and we will continue to diversify and grow because of our confidence in the economy and continued strong tailwinds for marine. We are excited. We will be investing in the Cobalt facilities as well as increasing the product volume and velocity to market. Pursuit also has tremendous opportunity. We have already begun expansion plans and, once that is completed, we will grow the distribution of Pursuit products while increasing the number of new boats to market. Lastly, vertical integration at all three companies will continue to be advantageous and we have projects on the table and in work today. All of this requires investment and you only invest like we are when there is confidence in the economy and continued growth. Our confidence is driven by the very positive view of our dealers, as well as unparalleled economic conditions. GDP is averaging 3 to 4 percent; more important, 49 of 50 states have a positive GDP, which is almost unheard of. Consumer confidence is at an all-time high of 137.5. Personal income growth averaged 4.2 percent last quarter, with 30 states having personal income growth of over 3.9 percent. All of the news about the tax cuts and job growth not making its way to consumers’ pocketbooks is simply false. This is all very positive for the marine customer demographic. Obviously, the M&A environment has been robust, and activity will probably continue, but maybe not at the same pace as the last couple of years. Malibu will continue to be a player, looking for great companies with premium brands. Realizing that some companies have tariff-related issues for both the supply side with materials from China and with retail in Canada and Europe, this will be a headwind for some. These issues are largely mitigated for Malibu due to our planning and execution. A concern we have is the exercise of prudence related to channel inventories. Our hope is that manufacturers and dealers will remain diligent with channel inventories. If channel inventories are healthy, the macroeconomics and demand for boats will continue to generate growth for most of the marine industry. I see 2019 as a transitional year, as the U.S. economy slows down after the recent growth period. In general, if interest rates continue to rise, I expect our smaller production work to slow, but the larger refit projects will remain strong. We are just completing our new 22,500-square-foot, climate-controlled building, which will provide additional space for new construction opportunities. We received a grant to install a new 43-foot-by-16-foot waterjet cutting machine that will open up new opportunities for growth both in and out of the marine industry. We also have a partnership with ferry builder Brodrene Aa of Norway, Arcadia Alliance, to construct carbon-fiber passenger ferries in North America. Having worked through several economic up-and-down cycles, I don’t believe the dips are always bad for our industry. Often, people shift some investment portions of their portfolios into different projects, including real estate and yachts. If the economy takes a projected dip in 2019, we expect some of our customers to invest more in their yachts as they move money out of the stalled stock market. Absent significant exogenous economic factors, it does not appear to us that 2019 will differ materially from 2018 from a marina operations perspective. Here, we see a continued, steady advancement in favor of operators who can invest in and successfully deploy connective technologies (e.g. functional ERPs, customer relationship technologies, systems controls and protections), expand upon customer offerings and experiences, and limit risk through operational expertise and diversification. From a boating perspective, we do not see 2019 as pivotal to the core marina business. We estimate new-boat sales will probably be flat or slightly down year-over-year when compared with calendar 2018. On the other hand, the boating and marina industries could take yet another step on the long, slow march toward reduced relevance. If nothing changes by 2030, evolving economic and age demographics in the U.S. will have swallowed up all of the growth — and a meaningful percentage — of both industries’ current core boating population. But psychographic changes (and wealth transfer, for that matter) are not as methodical or predictable as demographic changes, and the boating/marina industries have much going for them. For our part in 2019, Safe Harbor Marinas will invest more time, energy and capital into our member experience, and into getting to know the next generation of boating and water lifestyle enthusiasts. We are very bullish on the long-term prospects for both the marina and boating industries. We just believe that both must evolve significantly in order to capitalize on what lies ahead. Industry associations will be advocating for more modern approaches to saltwater fisheries management and data collection. Generally, we’re optimistic about this next year. Although markets are influenced by geopolitical instability that leads to caution, we know we have done a good job in terms of product development and we are confident that this will allow Azimut to maintain our leadership position, particularly in the United States. Currently, Azimut Yachts’ strategy focuses on expanding the range through the creation of new flagships for each of the lines, a choice resulting from our sales of the last two years that have been particularly strong for boats above 24 meters (79 feet) LOA. Our lines range from 34 feet to 120 feet. We also sell to 70 countries through 128 sales centers. America is certainly the continent where we perform best. Generally, our sales are balanced in our primary markets. Even the Italian market, after a period of slow sales, has given us great satisfaction in terms of growth in the last few years. To understand the yacht market today, one must consider how much the customer has changed. Yachting, like many other luxury industries, can no longer exempt itself from offering experiential content that appeals to our target of High Net Worth Individuals. We decided to invest in analyzing these new trends, particularly to understand the primary expectations of our customers. That research resulted in the selection of designers from outside the yachting industry. Designers like Achille Salvagni and Vincenzo De Cotiis, renowned for luxury residential and retail design, have brought their talents to yachting. These designers and other internationally known artists have succeeded in giving our yachts a distinctive and recognizable style, characterized by a sophisticated and contemporary vision of yachting. That vision will continue into the future. The year 2019 should be another exciting one for our industry. Most see the economic expansion continuing into next year, and it is exciting to anticipate another year of industry growth. Global change. The world will be much different in 10 years, and it’s likely some in our industry will not be able to adjust to the changes. People worry about globalization and technological advancement, but they are inevitable. Global trade. 2019 will be a pivotal year for global trade. Either the U.S. will work out its issues with the global economic community, or things will get more difficult. The Trump administration has done a masterful job bringing attention to trade issues, but now we need to close the deal. Worker crisis. I am happy that the NMMA has included finding industry talent in its new strategic plan. The worker crisis is an ongoing issue that will eventually hold our industry back if we don’t figure out how to get more qualified employees. The flip side of the worker crisis is that it is likely to drive further automation of our facilities. M&A activity. Last year was a busy one for deals and the industry is currently flooded with potential M&A activity. As I write this, Correct Craft is looking at eight potential deals. Sales prices are high, and it is a great time to be a seller. The industry is currently flooded with potential M&A activity. Innovation. The technological advancements I mentioned above will drive continued innovation in our industry. We have started a new innovation entity called Watershed that is specifically working to apply technological development throughout our Correct Craft companies. Inevitable economic downturn. Most see the economic expansion continuing into 2019, and we do, too. However, the economic cycle has not gone away, and there will eventually be another downturn. We remain optimistic, but will be prepared. We are in a of period of change unlike anything the world has ever seen. Our industry needs to be prepared. It is going to be a wild ride.